MANILA, THE PHILIPPINES (2 April 2013) – Famous for its superior quality and fresh flavor, The Fireplace introduces Tasmanian Atlantic Salmon with an exquisitely crafted menu by Chef Noel showcasing its fine texture and taste. Native of the pristine unpolluted waters of Tasmania, this famed Atlantic Salmon makes up only around 1.5% of the world’s salmon production. 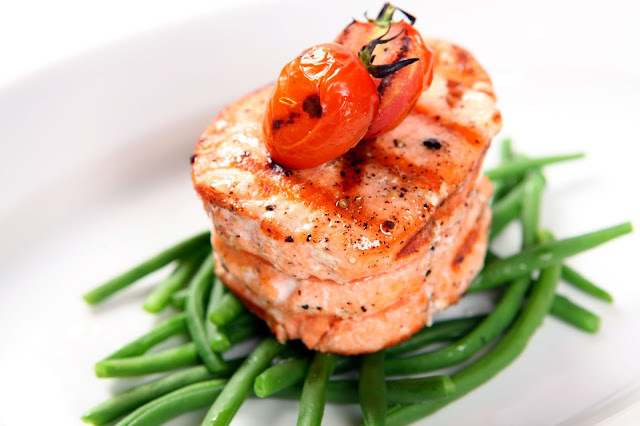 Enriched with omega-3 and proteins, discover the richness of this Atlantic salmon variety with selections like Roasted Herbs Crusted Salmon with Creamy Spinach , Peppered Salmon Steak with Cognac Pepper Cream Sauce and more. 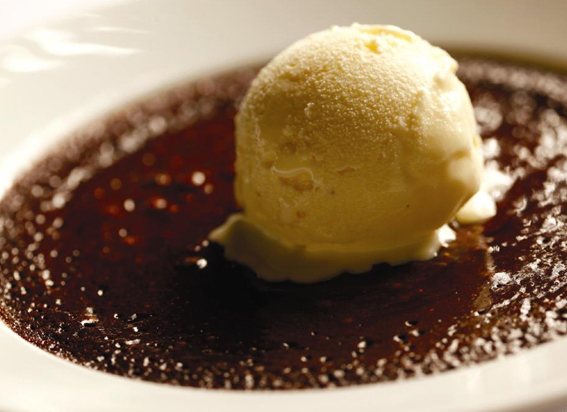 The perfect sweet conclusion is the luscious Hot Chocolate Soup. A signature dessert at the Fireplace, this rich, velvety and creamy dark chocolate is topped with a scoop of cracked pepper vanilla ice-cream, a unique chocolate creation that has a reputation of its own. 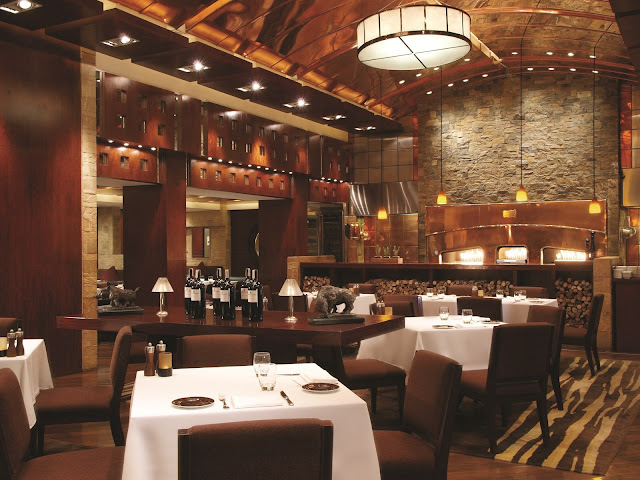 The Fireplace is an upscale grill room offering perfectly cooked prime meats and seafood. A perfect spot for wining and dining, the restaurant charms guests with its elegant brass interiors and open kitchen concept. In full view is a large wood-fired oven where chefs prepare their culinary masterpieces. A wine library with a vast collection of European and New World wines is another attraction. With its relaxing atmosphere and excellent cuisine, The Fireplace provides a dining experience like no other. For enquiries, please call +63 2 247 8666 or email cath.mn@hyatt.com. Hyatt Hotel and Casino Manila is a five-star hotel surrounded by Manila’s culturally-rich and well-preserved historical points of interest. This 33-storey mixed-use complex offers 376 elegantly designed guestrooms and accommodates the largest number of suites in the bay area, including 58 specialty suites and four presidential suites. The hotel features three innovative and authentic restaurants, a pastry shop, an entertainment outlet, four floors of Regency Club accommodation, as well as the most stylish and advanced event spaces in town. Fully-equipped recreational and premier gaming facilities are also on the premises. The hotel is only a few minutes from the international airport, convention centre, top tourist attractions and the city’s business district. For more information, call +63 2 245 1234 or visit manila.casino.hyatt.com. LIKE us on Facebook - facebook.com/hyatthotelandcasinomanila.